Neck lift procedures help you to achieve the neckline which you desire when extra skin, loose muscle and extra fatty tissue form in the neck area. These are very often familial characteristics. The neck can appear to be a double chin. 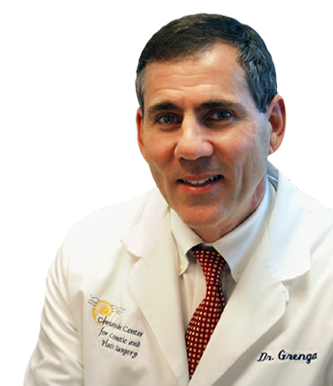 Many of his patients tell Dr. Grenga that “My mother (or father) had this same neck when she/he was my age”. In certain instances, the redundant fatty tissue can be removed with liposuction with virtually no visible scar and very short recovery periods. In the situation where there is a larger amount of redundant fatty tissue or the skin is really loose, removal of these by incision under the chin and hidden around the ear creases is required. This might mean combining a necklift with a mini-facelift. When combined with facelift, or as a sole procedure, necklift can help you obtain a more youthful neck line, eliminate or reduce wrinkles in the front of your neck and stop collar chafe for men who must wear buttoned collars. Necklift is the main procedure for rejuvenating the neck and lower face. 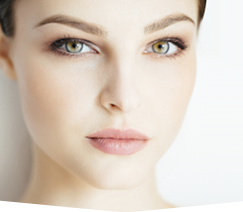 In some instances, Dr. Grenga will combine necklift with other procedures, such as eyelid tuck, browlift for the forehead wrinkles, and even other contouring procedures such as tummy tuck. The neck lift procedure is suited for treating loose skin and/or redundant collections of fatty tissue. The woman shown on the left possesses elements of both but the loose skin is the predominant feature of her aging neck. After necklift, shown on the right, depicts the tightening and sculpting that she has achieved. The same individual is shown from an oblique view demonstrating the remarkable transformation of the aging neck to one with a more youthful contour and surface. Neck lift is well-suited for addressing loose skin which develops after weight loss. The woman shown on the left had considerably more loose skin than excess fatty tissue. The more youthful contour achieved with neck lift is shown on the right.